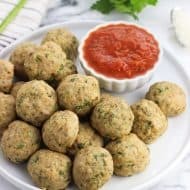 As Italian food enthusiasts, my family recipe for hearty marinara sauce and meatballs is our go-to when we’re in the mood for sauce. Around here we affectionately call it ‘Sunday sauce’ since it simmers for a good long while, and is just the thing to make when you’re enjoying a lazy Sunday afternoon around the house. 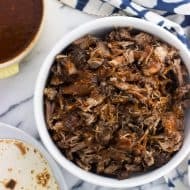 Sometimes though it’s nice to have something a little easier and a little quicker on the menu while still enjoying the heartiness that meat sauce can provide. So, sorry Sunday sauce! I’ve started mixing bolognese sauce into our repertoire. Specifically in the form of spaghetti squash bolognese. 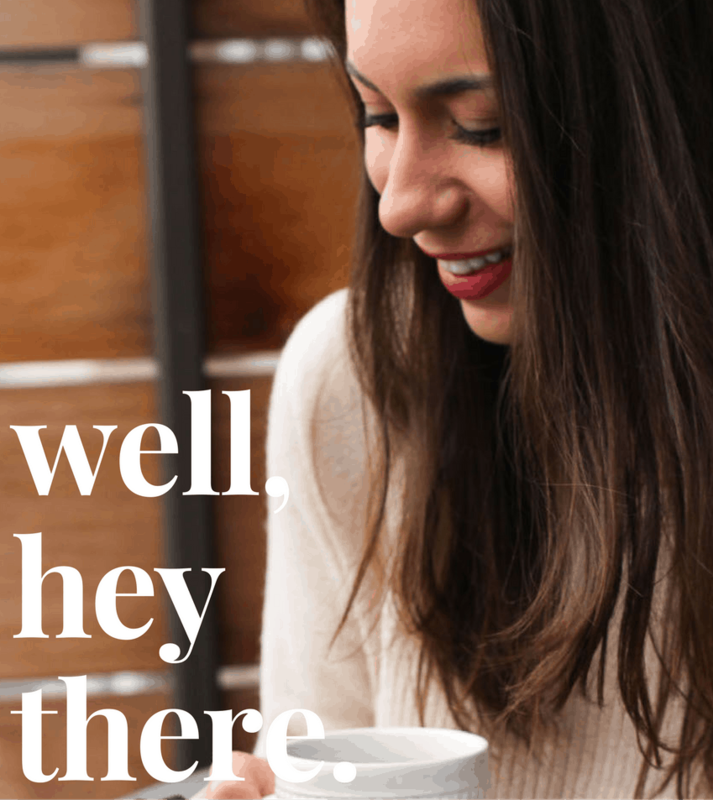 And it’s healthier, at that. There are two main parts to this dish: making the bolognese sauce and cooking the spaghetti squash. Let’s talk about the sauce first. 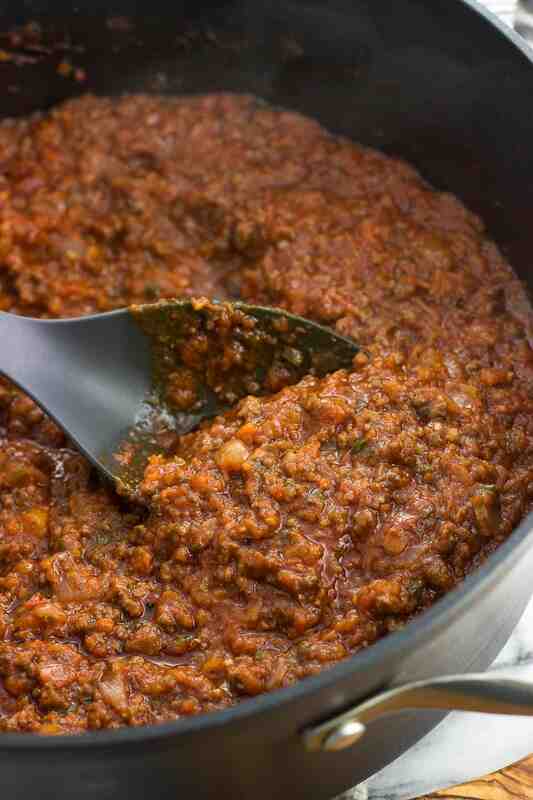 Bolognese differs from a standard tomato sauce in that bolognese sauce always contains meat. It’s also a very thick sauce, so it’s perfect for coating pasta. Or in this case, spaghetti squash. It starts by sautéing onion in olive oil, and then adding finely diced carrot and celery. To make quick work of the carrots/celery I like to throw them in the food processor and pulse until they’re all in small bits like the photo above. Next up is the minced garlic and salt and pepper. Then the ground beef, which you’ll just brown up like usual. Once the meat is cooked, you’ll deglaze the pan with red wine to scrape up the browned bits. Let the wine simmer for a few minutes (brings so much flavor! ), then add a big can of crushed tomatoes and herbs and spices. And that’s it. Let everything simmer while you cook the spaghetti squash, or at least a half hour or so until it’s thickened to how you like it. 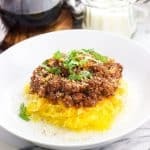 While bolognese sauce is obviously amazing over regular pasta, it adds such a nice touch to spaghetti squash. You can cook the spaghetti squash any which way you like, but I’m partial to cooking it in the Instant Pot. No need to exert a ton of effort into slicing through a raw squash! 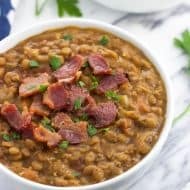 To do so, you want to put the trivet in the bottom of the Instant Pot and pour in one cup of water. Pierce the spaghetti squash all over and then pop it in whole. Obviously you want to make sure your spaghetti squash isn’t humongous and can actually fit in your Instant Pot. 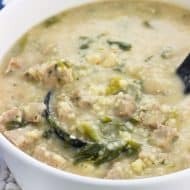 A spaghetti squash around 2.5 pounds is usually what I use, and it fits in my 6-quart Instant Pot (affiliate link) just fine. Simply cook it for twenty-five-ish minutes on high pressure, let it cool a bit so you can handle it without burning yourself, and then slice in half/remove seeds/break it out into strands. Easy peasy. And there we go! Perfect spaghetti squash strands all ready for spaghetti squash bolognese. I’ll be honest that I’m not spaghetti squash’s #1 fan as it can be bland, but I absolutely love it in this dish. The bolognese sauce dominates and brings all the flavor you need for a super satisfying yet slightly-lightened-up main dish recipe. 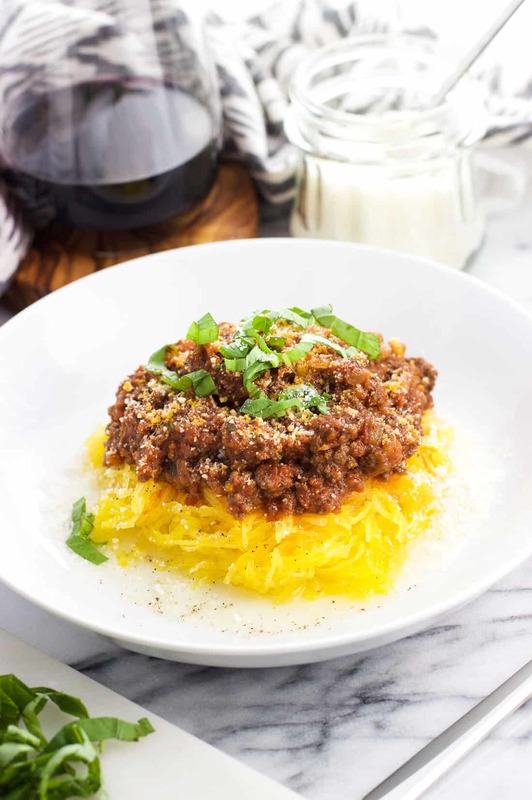 You’ll want to use a red wine that’s on the drier side for this spaghetti squash bolognese. I’m partial to Cabernet Sauvignon, but Merlot or Pinot Noir will work, too. Add olive oil to a large pan set over medium heat. Once heated, add diced onion and cook for 6-7 minutes, then add carrot and celery and cook for another 2-3 minutes. Add minced garlic, 1/2 tsp of the salt, and pepper. Stir everything up and cook for another 1-2 minutes. Add ground beef to the sauce pan and break it up into crumbles. Cook for 9-10 minutes, or until no pink remains and the beef is fully cooked and browned. Once beef is cooked, pour in the red wine and scrape up any browned bits from the bottom of the pan. Let everything bubble and cook for 3-4 minutes. 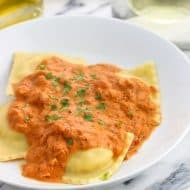 Pour in the crushed tomatoes and then add the remaining 1/4 tsp salt, parsley, basil, oregano, crushed red pepper, thyme, and pinch of allspice. Give everything a stir, then let simmer for 35-45 minutes, or until thickened to your liking. 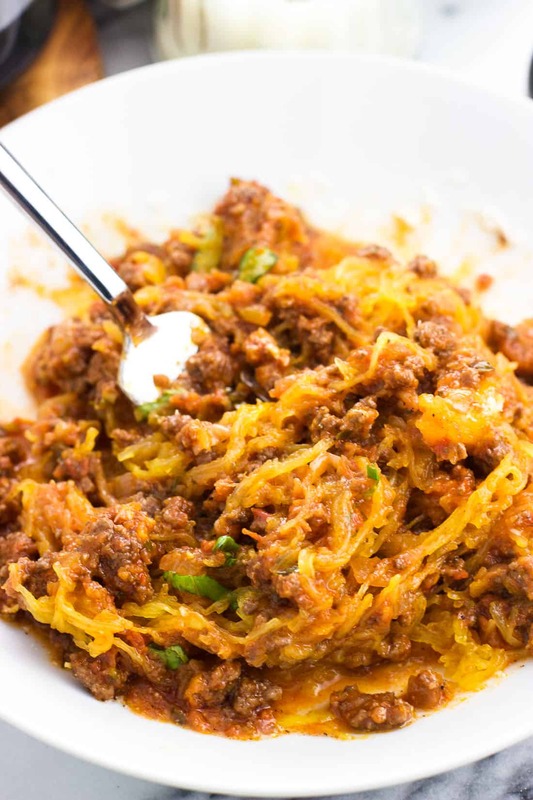 Serve over cooked spaghetti squash strands. 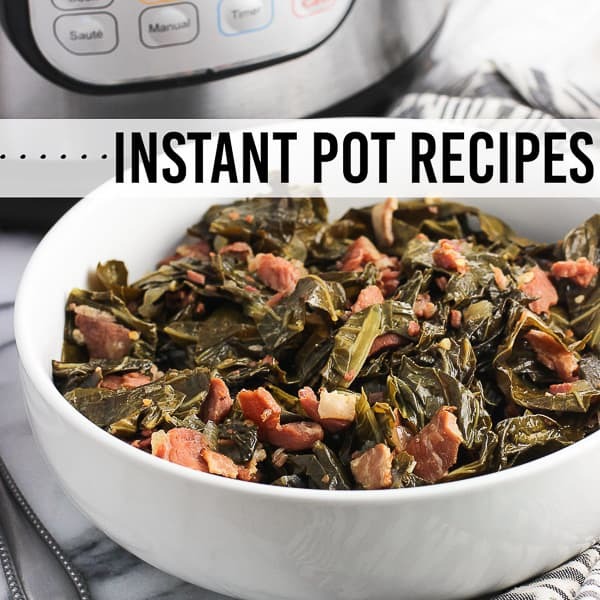 Instant Pot: Add the trivet to the Instant Pot and pour in 1 cup of water. 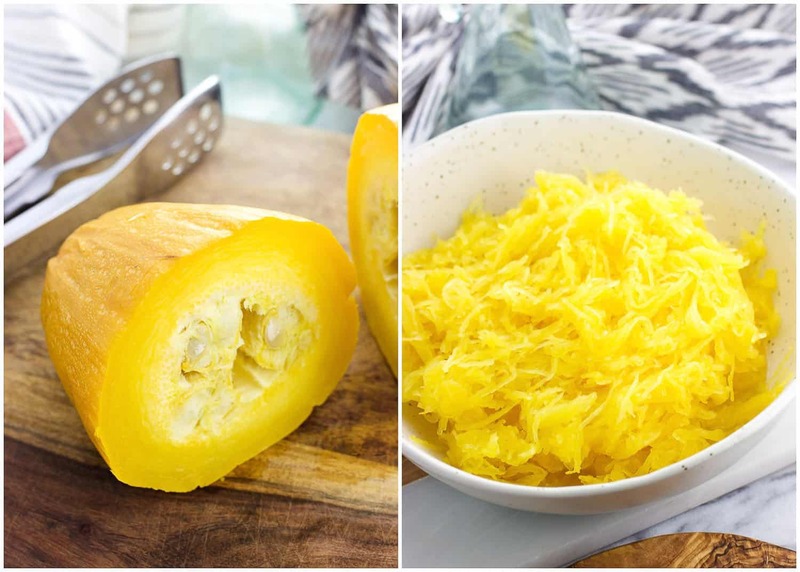 Pierce the spaghetti squash all over with a paring knife, then place the whole spaghetti squash on the trivet inside the Instant Pot. Close and lock the lid, and set the valve to 'Sealing'. Cook on Manual high pressure for 25 minutes. Do a quick pressure release and let the squash cool enough to be able to be handled. Then cut it in half, scoop out and discard the seeds. Use a fork to work out the strands and serve. 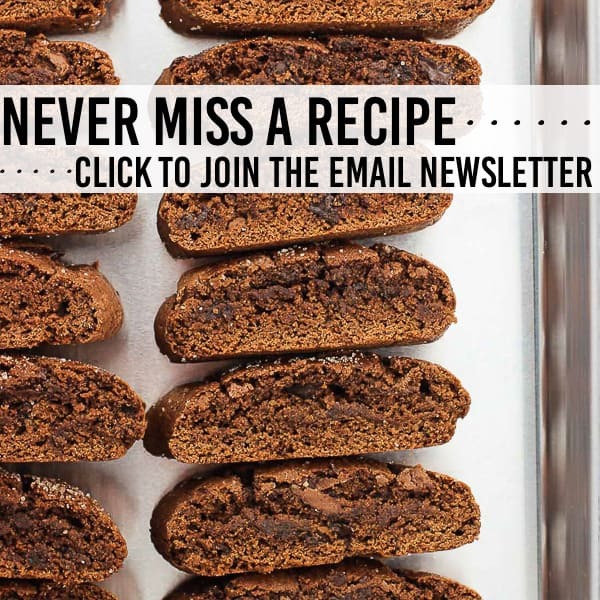 Oven: Preheat the oven to 400°F and line a baking sheet with foil or parchment paper. Trim the ends off of the squash and cut it in half lengthwise. Scoop out and remove the seeds. 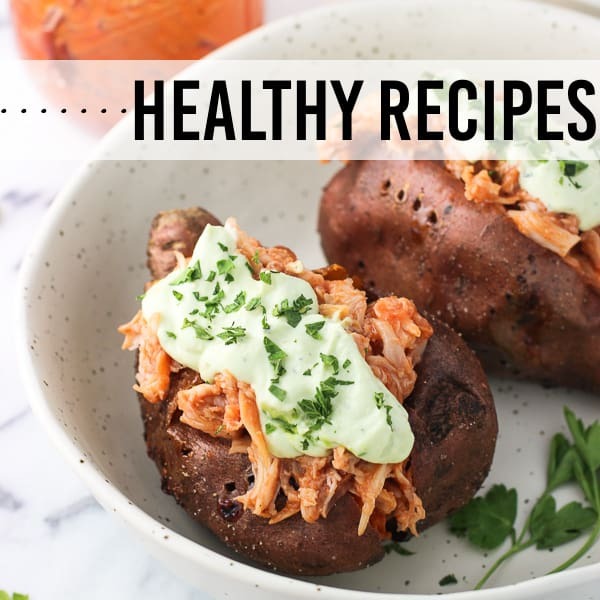 Place both halves of the spaghetti squash cut-side down on a baking sheet, then roast for 25-30 minutes, or until the insides are tender and 'scrape-able' into strands. 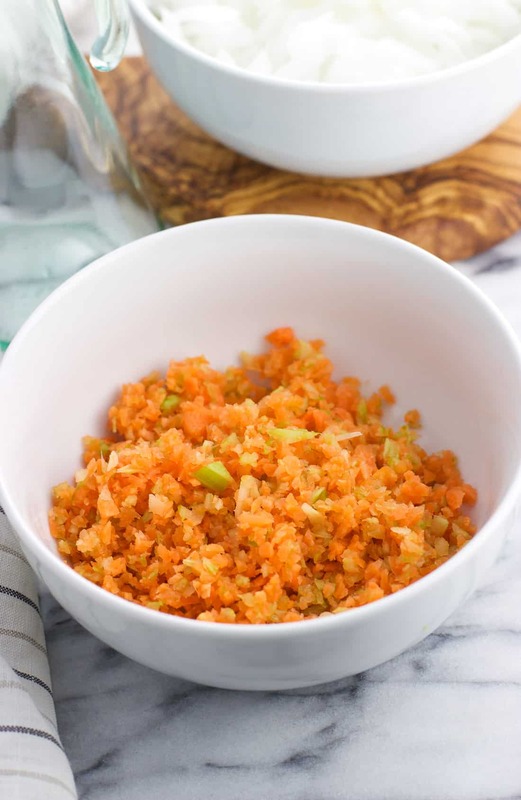 A quick way to grate the carrot and celery is to add them to the bowl of a food processor, then pulse until they're broken up into small bits. For time-saving purposes, I begin the process of pressure cooking the spaghetti squash once the bolognese sauce is simmering in its last step. 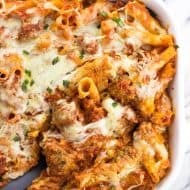 This recipe yields about 36 oz of bolognese sauce in total, with 6 oz of sauce included in each portion as part of the nutritional estimate below.